The first three Predator movies are fine entertainment with the sequels not quite reaching the level of excellence in my book, though I do greatly prefer the first movie over the others if only for the quality direction from McTiernan and Schwarzenegger’s tough man and charm appeal. The Shack admittedly isn’t my kind of movie but it’s perfectly safe and does have a positive message while not getting overly preachy compared with other religious movies that have inundated cinema in the last few years. 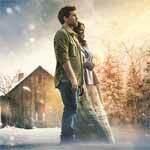 Lionsgate Home Entertainment has announced the date and released artwork for the romantic-drama, The Shack starring Sam Worthington, Tim McGraw and Octavia Spencer. Click on the link below or image to the left to check out the features and artwork. Blindness might not have been my kind of movie but I appreciate it for the fine performances, excellent cinematography and a story which is at least captured my attention for the film’s duration. The Blu-ray itself has two fantastic featurettes which will give insight into almost every aspect of the film. The Rite places itself amongst the many others who have tried to tackle the all important question as to what kind of power the Devil and his minions can possess on this earth after which we get the answer and it’s often disappointing. This movie however does have Anthony Hopkins going for it since he seemed to show up on set and give it his all in a role that could’ve been cheesy and/or laughable but lending credibility. 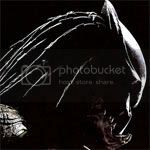 Predators may not have been as successful of a franchise reboot as last year’s Star Trek in terms of quality, but as someone who wasn’t as enamored with the original as some, I thought there were some elements that did work and the casting was well done. The Blu-ray has good audio and video presentations and the features are pretty good.